Wow. What a day of news! I’m sure many of you, like me, have been glued to news networks and social media for the last few hours attempting to get your head around it all. First, the NFL finally laid down the law by suspending star sophomore Ezekiel Elliot for six games. Next, two huge trades were made that will have a massive impact in the dynasty world. 🚨 TRADE ALERT 🚨#Rams acquire WR Sammy Watkins from the Bills. That makes three of the top stars from the strong 2014 receiving class moving to new teams this summer. (The other being Brandin Cooks and his move to New England.) The Watkins deal in particular is a dynasty game-changer. 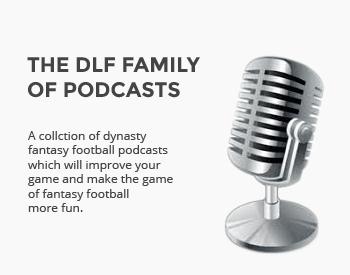 Let’s attempt to make some sense of how it impacts players in dynasty leagues. While it may seem like a bargain for someone who we regard as a true star in this league and has held a spot inside the top 20 in dynasty ADP for over a year, this move is motivated by money, just like the trades of the other two young receivers mentioned earlier. We knew Watkins was on the last year of his rookie deal, and rumors came out earlier this off-season that the Bills weren’t prepared to re-sign him. They wanted to get out, and they at least managed to recoup a young corner and a second round pick. 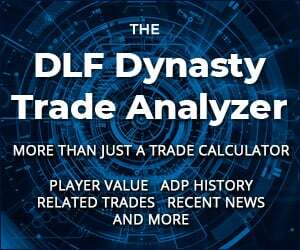 What does this mean for Watkins’ ADP, immediate production and future dynasty value? The early response from dynasty twitter is the move from Tyrod Taylor to Goff is a downgrade, but while that might be right in a vacuum (looking only at the quarterbacks), I believe the opposite to be true. This Rams offense is trending up in a big way. With a completely rejuvenated offense and weaponry, why should we expect the same results as last year? Ryan Tannehill, Blake Bortles and Derek Carr have all had huge fantasy seasons in recent years, all after not really “showing anything” early. Coaching, comfortability and weapons do wonders for a quarterback and now Goff has them. He’s certainly capable of providing a fantasy home for a weapon like Watkins. The wideout wasn’t a featured weapon in Buffalo, but he will be in Los Angeles. As a player, we really haven’t seen the best of Watkins yet – or even come close. It’s fair to say I’ve followed his career very closely – I had him number one on my 2014 big board (just ahead of Odell Beckham Jr, for my sins), and I know he can be a true star in this league. Los Angeles valued him enough to make a move and I expect they will make every attempt to put him in a position to blow up. Trade indicates Rams’ confidence in Sammy Watkins health. Interesting note: a former member of Bills med staff now with Rams. 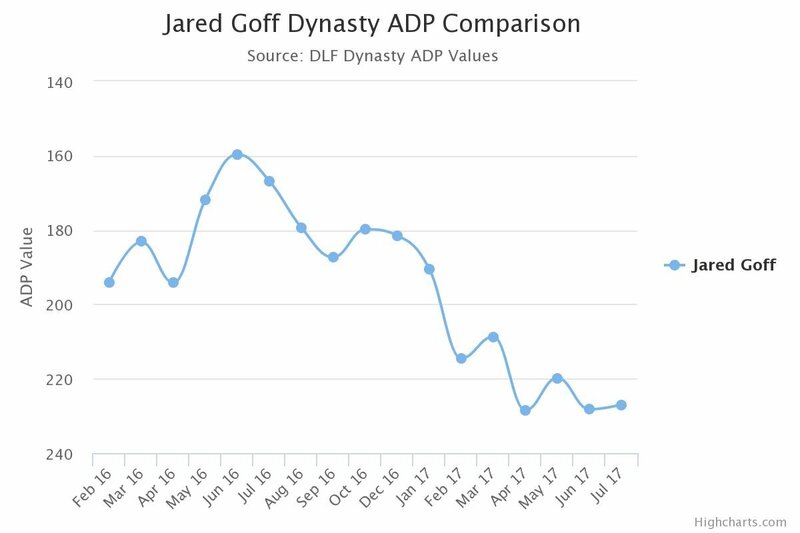 As we have seen from the dynasty ADP chart above, Watkins has already fallen out of the first round of dynasty startups in the last year. There’s a chance he falls even further and I believe that would be the perfect time to buy. You should be putting out your feeler offers as soon as possible (just not to me, because I’m not selling). Los Angeles has spent this off-season making every attempt to build around their young quarterback, and the acquisition of Watkins is the icing on the cake. Left tackle Andrew Whitworth, even older than new head coach Sean McVay, provides some quality and experience on a line which faltered in 2016. The Rams attacked skill position players in the draft, selecting a tight end and two receivers with three of their first four picks. They also added veteran wideout Robert Woods to the group (who is also making the move from Buffalo). After a tumultuous rookie line of five touchdowns, seven interceptions, a 54.6 completion percentage and only 1,089 yards in seven games, things can only get better for the former Cal quarterback. Goff, seemingly already forgotten as the number one overall pick from a year ago, is all the way down at QB28 in our latest ADP data, behind some players who won’t be starting this year. You could do a lot worse than having him as part of a quarterback rotation moving forward. There are questions that surround him but the Rams have done well to put him in a position to be successful. Outside of Austin, this is a completely new group in Los Angeles. As such, the writing might be on the wall for the tricky gadget wideout. Having not shown anything as a dynasty asset so far in his career, he’s not likely to be worth much on your teams moving forward unless he has a change of scenery. Woods was a late round favorite for a lot of folks, but this move makes a huge dent in his potential. He played second fiddle to Watkins in Buffalo, and he’ll probably be a bit miffed he has to do the same in the spotlight in LA. He might turn out to be a flex play, but I wouldn’t be targeting him. The rookies, however, seem to have a little more potential than the vets. Kupp was an extremely effective possession receiver in college, while Reynolds provides speed and a “go up and get it” attitude. They could complement each other and their new star, but both have the potential to boom in value with some highlight reel plays. Again, like the rookies above, an improved offense could mean opportunities for yards and scores, but there are also plenty of players competing for the ball. Everett looks to be player to target long-term, but neither of these players have too much dynasty value at a position that tends to have large tiers of similarly productive players. What does this mean for Gurley? I believe it’s fantastic news. Last season, the offense was supposed to run through him. However, teams held him in check and there was no way the team could force defenses to stay honest with their receiving or quarterback play. Everything changes with a dynamic downfield threat – just look at the numbers LeSean McCoy has produced in Buffalo. After a value dip along with the whole of this offense, Gurley will be on the way back up. For more on the dynasty impact of today’s trades on the offensive playmakers in Buffalo (and Philadelphia), head over to Ken Kelly’s breakdown of the Jordan Matthews trade. Great article. One of the few positive takes on Watkins. Where would you target Everett for those who haven’t had their rookie drafts yet? Loved him before this news but not so sure of his role with Watkins coming in. I personally don’t think it changes that much. 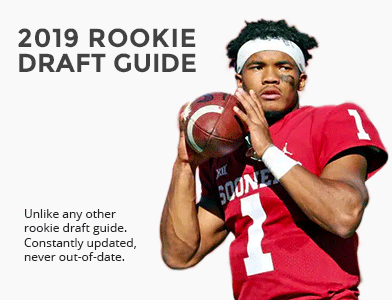 To me, he’s a mid-to-late third round rookie draft prospect in a 12-team PPR league. At that point, you’re throwing a few darts already. Thanks, Kyle! Yeah I’m with Ken on this – doesn’t move the needle too much. That said, I love the whole tight end class. If there weren’t three first rounders ahead of him, we’d probably value Everett a whole lot higher. So maybe late second/early third? I personally wouldn’t because I don’t trust Allen to stay healthy and it may be another year before he’s really 100% anyway. I think there are other safer receivers out there you could get straight up for Watkins.